This Saturday it’s the Bulls’ penultimate home game of the season as Hereford take on play-off contenders AFC Telford at Edgar Street. Back in late October the sides met at the New Bucks Head in a closely-fought encounter. Hereford secured a 1-1 draw in only head coach Marc Richards’ third game in charge, but much has changed since, with five of the starting line-up – and nine of the squad – no longer with the club. 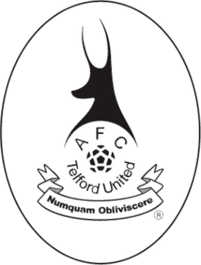 After a decent run of form the Bulls have dipped in the last two games at Alfeton and Southport, with fans now looking for a far more determined and purposeful performance against Telford. Simon Wright previews the clash. Telford have a Dosser on their Board. That may strike a chord with directors who believe not all their colleagues pull their weight. In fairness to our new town neighbours, I’m describing Ian Dosser, former Chairman and now just a director. No doubt the unfortunate Mr Dosser has heard every possible joke before he left school but hey, the recycled teenagers at Radio Hereford are easily amused. The revamped Telford were supported-owned and like ourselves, had great fun tearing up the lower Divisions. Frustrations grew when Telford were twice promoted to the National League and found themselves financially outmuscled by bankrolled outfits. So, the share model was changed and the new majority owners are a local family company, Pryce Builders. Andy Pryce is now the Chairman, Handily, he’s a former goalkeeper for Telford. The latest manager is Gavin Cowans, who is coming to the end of his first season. He recently had a two-year contract extension so in a few months’ time will become the longest serving of any of the last 8 Bosses, including 4 in 2013. Cowan is German-born and Telford is his first managerial job. 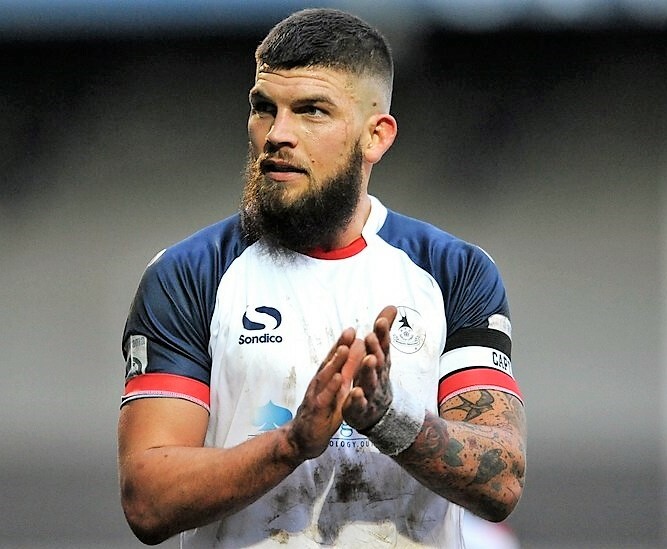 He played for 12 Non-League clubs as a defender (being 6 foot 4 helped) with most of his games being with Telford. Cowan has a sports science degree, important for his day job running his own Football Academy, Crossbar Coaching, in darkest Shropshire. He’s also a school Governor. Clearly a man who likes to be busy. Fair to say, AFC Telford are becoming familiar opponents. There was the away friendly and the home FA Cup game last season plus the away League match back in 2018. So far, we’ve won one and drawn two. To keep our record going will be hard work against a side who needs points to hang onto the last Playoff place, ahead of Kiddy and Blyth. It’s a slightly dubious prize because 7th spot means playing away in every round, with the first game being midweek. Chance of ultimate success is pretty limited. But it is a chance and let’s not kid ourselves, if we were in Telford’s position, we’d be going for it. Just for reference, the 3 clubs finishing 7th in the National League in 17/18 were AFC Fylde, Truro and Bradford with brackets. Only Bradford got past the Play-Off Qualifying Round. As we know to our cost, Bradford are more effective away than at home. In their previous guise of course, Telford were hugely successful in the Trophy, reaching five Finals. The current club reached the Semi-Finals but couldn’t quite deal with National League leaders Leyton Orient, losing both legs. Having received a formal warning when some supporters entered the pitch to celebrate beating Solihull Moors in the previous round, the club are nervous about several incidents from the Orient game being investigated by the FA. Some Hereford supporters believe Telford are full time. They are not and are clear that simply isn’t affordable. However, they do train 3 times a week, two nights plus Monday morning. I do wonder whether our management are considering that option because the benefits of extra contact time is obvious. Its more feasible now given that our recent recruits don’t have another job. Top scorer is Nigerian-born Udoh who doesn’t use his first name Dominic. He’s 22 with 11 clubs already on his CV. One of his former clubs showed him the door because he was called up by his country too often. He has 19 League goals + 7 more in Cups. He is the 2nd highest goalscorer in the League which probably shocked even himself as he’s never scored many before. He’ll be off to Club no 12 in the summer, I imagine. Captain Shane Sutton is a big tattooed hairy bloke with his own barbers’ shop in Knighton. You don’t get such down to earth descriptions in our club programme. Maybe we should. If you’re listening to this Jamie Griffiths, I imagine you’d probably retort “that’s because you stopped writing them..” Guilty as charged. Big-eared striker Amari Morgan-Smith is superstitious, a former Dingle-resident and the squad disciplinarian. Infamously, he was caught short twice in 4 minutes while playing for Ilkeston Town. That’s all true by the way. Maybe I’m onto a new programme style here? Black-Country born and bred hirsuite James Robbie Leonard McQuilkin is vertically challenged. Tipton’s answer to Luka Modric is a former Baggie, then a Bull, now a Buck first team regular. One more. Ellis Deeney, brother of FA Cup hero Troy, admits to a hot temper and was sent off at Chorley for stamping. The 26 -year-old Villa reject will miss our game if an appeal fails. Form-wise, the difference between ourselves and Telford is goalscoring. We’re identical on goals conceded and it’s the 17 goals extra they’ve scored which makes the difference between mid-table and the Play-Offs. Away from home, their record is unspectacular. Won 6, drawn 6 and lost 7, only a few points better than our tally. They didn’t win away until mid-November. AFC Telford only tend to beat clubs with poor home records like Ashton, FCUM, Nuneaton, and Bradford with brackets. Telford are doing what we aspire to do next season. Maintain a strong existing defence, score more often and beat the bottom sides. An early sample of next season’s aspirations would be well received. Having top 7 opposition in town should help us. Every team wants to beat the best clubs so I would expect a far better game than the previous two. End of season matches between mid-table sides are invariably dull. That’s just how it is – the lack of a clear end goal blunts focus for players after a long, hard season. Happens at every level, even in the Premier League where there is a £2 million per place incentive. It’s really unfortunate the knives were out again for our management after Saturday after our first away defeat for over 3 months. It’s been a few years since an Edgar Street side finished midtable so maybe some supporters have forgotten the realities.